Louis “Butch” Perry Jr. 66, passed away Tuesday March 1, 2016 at The Blair House in Milford MA after a courageous battle with cancer. He was born in Gloucester, MA March 25, 1949 the son of Louis P. and Mable (Mitchell) Perry. Louis was a graduate of the Gloucester High School Class of 1967 and was Captain of the Football Team. 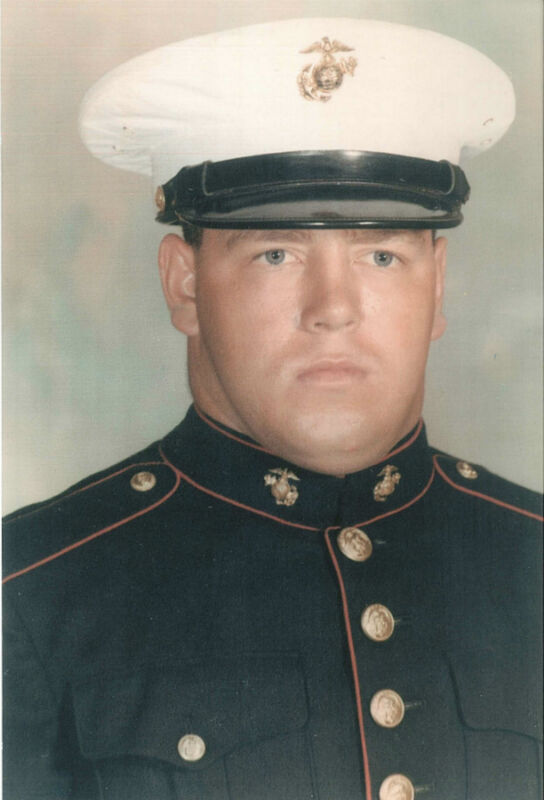 He attended the University of Southern Connecticut and then became a United States Marine and served in the Vietnam War. Louis enjoyed hunting, fishing, trapping and weight training. Family members include his daughters Jennifer Perry companion of Michael Perruzzi of Milford , Deanna Perry of Gloucester ; sons Louis P. Perry III husband of Erica Perry of Gloucester, Jeremy Perry companion of Ashlee Nechanicky of Mesa Arizona; Grandchildren Kiana, Tayla, Natalia, Olivia, Maryssa, Louis IV, Michael Jr., and Ava; sisters Sharon Mills wife of Owen Mills of Brownfield Maine, Bridget Perry companion of Robert Campbell of Gloucester; god child and only niece India Lowe of California. Lifelong friends, Matt Mullen, Tony Vecchione and John Chipperini. Special friend, Cal Garrison of Sedona Arizona. A Mass of Christian burial will be held Saturday, March 12, 2016 at 9:30 A.M. at the St. Ann’s Church 60 Prospect St. Gloucester MA The burial will follow in the Beechbrook Cemetery in Gloucester MA. So sorry for the loss of your Dad,Brother,Uncle and Grandfather. Rest in peace Butch. Butch, may you rest in peace. My deepest condolences to his family and loved ones. I am deeply sorry for the loss of great family member. Butch was the greatest. Gloucester lost a true champion, one of "Hank's Bulls", may he rest in peace. We are sorry for your loss our prays are with you. Sorry for the loss of your Father, brother and son. May these words and other words of comfort help you at this time in your sorrow knowing that others are thinking of all of you. I'm sorry for your loss, Butch was an awesome dude and will always remain forever young in my heart. Your long lost cousin, Russell Moses. May the love of family and friends carry you through your grief, as you find strength in the hearer of prayer. Lean on one another when the days ahead are to hard to bear alone. We hope that the many hugs,cards,kind words,and loving prayers embrace your hearts during this difficult time.